Valentine’s Day | Viva Tango Inc. Junior Cervila. He is an internationally known performer, choreographer and instructor recognized for his creative tango styling and intricate footwork. He learned tango in Buenos Aires principally with the great maestros: Antonio Todaro, Pepito Avellanedo, and Juan Carlos Copes. Junior has performed tango on the most world’s distinguished stages. Junior has been choreographic assistant to tango legend, Juan Carlos Copes, and his performances have been seen worldwide on Argentinian television, on stage (Broadway’s “Tango Argentino”), on tour (most notably with Julio Iglesias) and on screen (“Tango”, nominated for an Academy Award for best foreign film, 1999). Highlights of his career include performing in Tango Argentino (the shows by Segovia and Orezzioli), working with the singer Julio Iglesias, and dancing in the film Tango by Carlos Saura. Guadalupe Garcia born in Argentina has performed and taught throughout South America, Europe, Asia and North America. 2004-2010 – Godoy’s Tango Company, Juan Corvalán’s Tangomalambo’s Company, and Roberto Herrera’s Company 2005- 2006 – Italy: shows “ Tango Querido” (Barletta), “ Noche porteña” (Matera) and “Patio Argentino” of Tango (Roma). 2007-2008 –Performer in “El Bandoneón” show in Athens. 2011 – Misterio Tango Festival (Argentina). 2009 – 2012- Teaching in Greece, United Kingdom, Poland, France, Italy, Portugal, Dubai, Brazil y Chile. 2012 – Performer in Argentina’s pavilion at the World Expo in Korea. 2014 – Principal Dancer at the show Glorias Porteñas, partnering with Juan Carlos Copes. 2015 – Tango e Paixão’s Show (Brazil). 2007 to present performer in local tango shows in Buenos Aires, such as Complejo Tango, Michelangelo, Taconeando, Piazzolla Tango, Gala Tango and Tango Porteño. This week, learn how to feel comfortable and make a good impression dancing close embrace. Michael Nadtochi will be teaching the three must have patterns for close embrace. Unique Tango Fashions by Adorno Dancewear will be modeled by lovely ladies from VivaTango. Jacklyn Shapiro, 2017 US National Tango Finalist, has designed these pieces to accentuate the beauty of the female figure, highlighting every move. Each design is made in small quantities using high quality fabrics. Adorno Dancewear will be displaying tango clothing and shoes! Milonga will follow Fashion show – dance all evening. September 18th – Robin Thomas starts Princeton Tango Club sessions on Mondays, 7pm – 11pm. Memorial Day Picnic Food – watermelon, hotdogs, ice cream …. Wendy Zoffer, Flautist-Originally from Montreal, Wendy is a versatile and accomplished jazz, and classical flautist. She is also a vocalist, composer, and music educator and received a B.A. and M.A. in Music Performance and Education from New York University. Passionate about Argentine Tango Dance, Wendy began performing with many New York City tango musicians. She recently performed with her band, Tango Dream at Summit Tango and The Philadelphia Tango School. Her jazz CD Bird of Beauty, and original children’s CD Sing Me a Day are available online and at The Princeton Record Exchange. Wendy is the founder/director of Princeton Music Connection, providing high quality live bands, DJs, classical, jazz, and world music for weddings, parties, and corporate events in the New York Metropolitan Area and nationwide. She is also an established flute and piano instructor in the Greater Princeton Area. Federico Puebla, Pianist- Born in Mendoza, Argentina, Federico began his musical studies at the age of nine with private teachers and then attended the National University of Cuyo. A performer, composer, arranger and lyricist, Federico writes in several musical genres: tango, rock, pop, argentine folk, and bolero. He has formed many bands and has performed in numerous shows and concerts. His solo concert piece is called “Pianissimo” consisting of a one-hour concert of improvisation with influences of jazz and rock. Federico is an accompanist, performing complete milongas and shows with singers, musicians and dancers. and has participated in numerous live music radio programs. He is also a piano instructor in New Jersey at the Federacion Mercantil Hispana and in New York at Saint’s Peter Church. Jacklyn Shapiro began studying ballroom and Latin dancing at the age of 12 and performed and competed in this venue. Her introduction to Argentine Tango was a transformation experience giving her the opportunity to bring all of the elements together: Sensuality, connection and the desire to express her inner-self. Roberto Pena grew up in a family of tangueros in Buenos Aires. His tango roots took hold and he studied with tango masters. Deep inside he felt that no matter how much he was able to absorb from the masters a critical component of his dance was missing – someone who was able to reflect an equal amount of spirit and ambition. Roberto and Jacklyn found each other 5 years ago. After her first dances with Roberto, Jacklyn realized that Tango offers something unique – the ability to dance from the heart, be yourself and feel as though no one is watching. Roberto found that dancing with Jacklyn gave him the opportunity to express himself and take his dancing to the next level. Today, Jacklyn and Roberto take every opportunity to learn from each other, maintain an open mind and grow together as they continue on their tango Journey. They have competed on national and international stages placing as finalists in 2014, 2015, and 2016. They love to perform and teach. With each passing day, they aspire to become more versatile dancers and stay true to what Tango is at its core: Love, Passion, Creation and a form of Expression. In this course, participants will learn the fundamentals of Argentine Tango, the way it is danced, and its social significance in Argentina and around the world. Students will also explore the history of Tango and its various musical forms. No partner or previous dance experience required. Musicality Workshops. Pablo & Iwona are working on putting together at least two musicality workshops that would be held in Susanne Patterson Center this year. Exact dates – TBD. The class is every Tuesday from 8:30-10:00 pm, and it is followed by a brief practica. 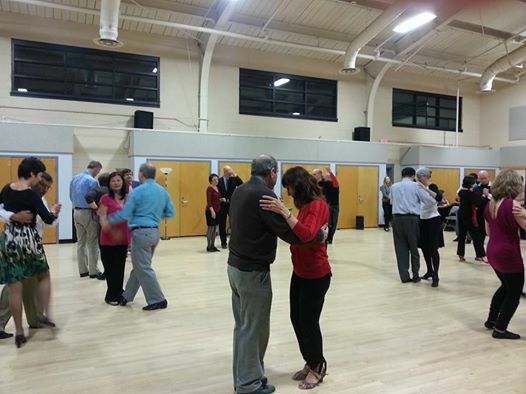 Princeton Tango Club on Mondays with Robin Thomas, starts in February after the winter break. Date is TBD. Watch for announcements. There are several things to celebrate. The bitter cold is gone, the snow is finally melting and Team USA is doing great in Sochi especially Meryl Davis and Charlie White capturing USA’s first Olympic gold medal in Ice Dancing. So come to Viva Tango Inc’s dance floor and dance for joy! 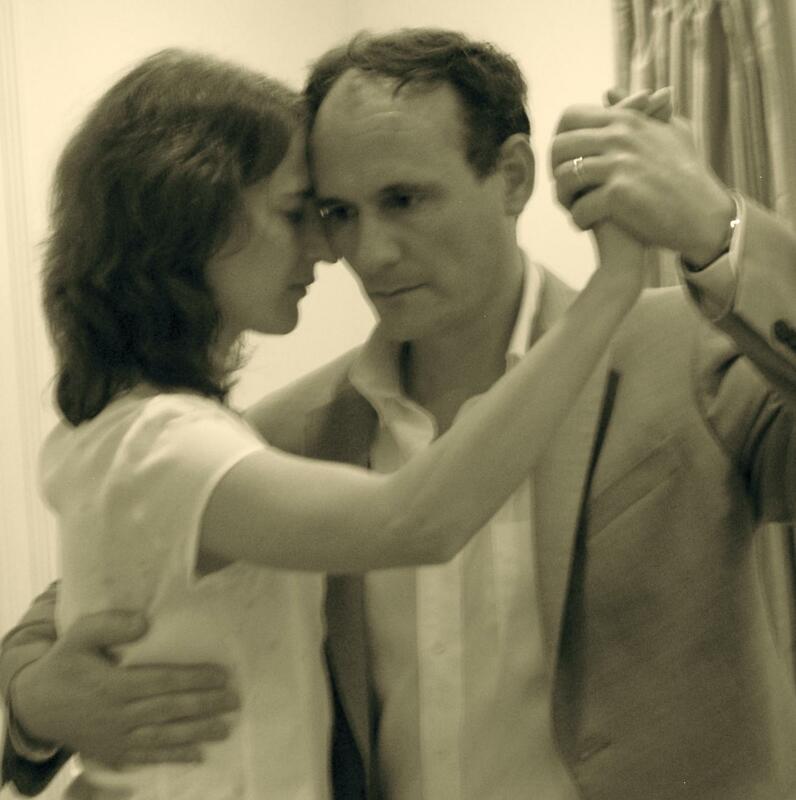 Pablo and Iwona will be at Viva Tango Inc. teaching musicality; dancing to various tango music styles. A special guest Peace of PU Tango Club; will be DJing. Viva Tango has been having 50+ dancers this winter. Our dance floor can hold a lot more without crowding. Join again this week or if you have not been here recently please come and enjoy the evening with us. We will be entering a two month period of 8:30 PM start times. Which is about the time most of you arrive anyway – Fashionable hour for nightclub dancing! Last week leaders outnumbered followers again. So ladies please come this week. In recognition of Valentine’s Day each lady will get a rose this week. What better way is there to usher in Valentine’s Day than to dance La Cumparsita at the stroke of Midnight on Valentine’s Day eve. Wear Red! The evening will begin with a one hour intermediate tango class by Vittoria and Guillermo. They will teach us how to make your partner feel like they are dancing on a cloud. This lesson will be followed by open dancing in Viva’s night club atmosphere. Food and refreshments are available. Beginners are always welcome – experienced dancers will be happy to dance with you during the open dancing at your level and give you some help. Non-dancers are welcome to come enjoy the atmosphere, socialization, and food. 9:30–Midnight, practica, food, and socializing. No partner necessary. Beginners and non-dancers welcome. Welcome in Valentine’s Day at Midnight. Suzanne Patterson Center, 45 Stockton St., Princeton. $15.